Kim Kristensen, is currently the Master of Ceremonies of the Danish Queen’s Royal Household, responsible for all the official foreign visits made to and from Denmark. He was chosen as The Leader of the Year 2009 in Denmark and is the author of Follow Me – Leading from the Front. 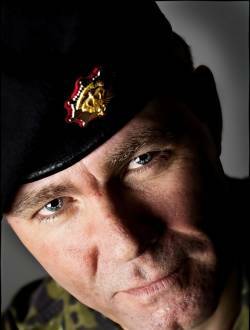 He previously served as a Colonel in the Danish army, serving in the Balkans and Afghanistan. Kristensen has also worked as a strategy consultant for over 100 Danish and international companies, organizations and institutions.